Flatulence is a common side effect of bulk-forming laxatives. Bacteria in the colon produce gas when they digest small amounts of fiber. Because of this, all types of fiber can cause flatulence to some degree. How each person reacts to a certain type of bulk-forming laxative depends on how the bacteria in their colon digests the specific fiber used to make the drug. If you are experiencing flatulence while taking Metamucil, your doctor may be able to recommend a different bulk-forming laxative based on your needs. 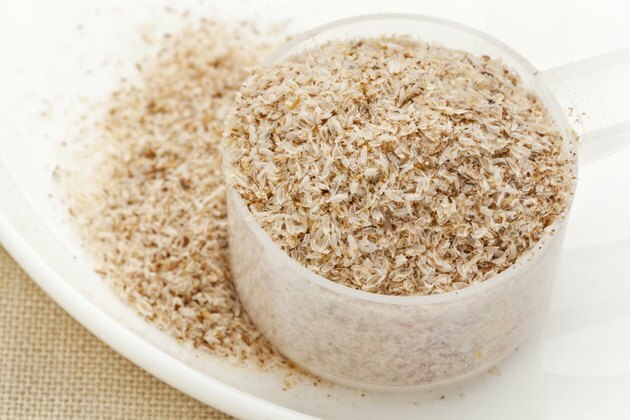 Mild abdominal side effects of Metamucil include bloating or minor changes in bowel habits. More severe side effects, such as stomach pain, cramping, nausea, vomiting, constipation lasting longer than a week and rectal bleeding may also occur. Anyone experiencing severe abdominal side effects while taking Metamucil should stop using the drug and contact their doctor immediately. Bulk-forming laxatives may also cause blockages of the intestines and esophagus and should not be used if you have a known narrowing of the digestive tract. In addition, Metamucil must be taken with 8 ounces of water as directed or it can swell in the throat, causing choking and difficulty swallowing, warns Drugs.com. Certain people may develop an allergic reaction to Metamucil. Symptoms of an allergic reaction to this drug include hives, difficulty breathing and swelling of the face, lips, tongue or throat. According to Drugs.com, breathing in the dust from Metamucil powder should be avoided, as its inhalation may cause an allergic reaction. An allergic reaction should be considered a medical emergency. If you experience any of the above side effects while taking Metamucil, seek immediate medical assistance.